Conservative MP Nigel Evans has said that Theresa May knows she is in “dangerous territory” as she faces the possibility of her EU Withdrawal Agreement being rejected on Tuesday. The MP for Ribble Valley told talkRADIO’s Mike Graham: “I think the Prime Minister does know she is in incredibly dangerous territory. “The people have not let Parliament down, the people were given by Parliament the compact to decide whether we should stay in the European Union. The people decided to leave. “If we can’t deliver that, it is Parliament that has let the people down. We have to deliver on what people have asked us to do. “It has got to be Brexit not BRINO. There are two problems for the Prime Minster but they both relate to the backstop. 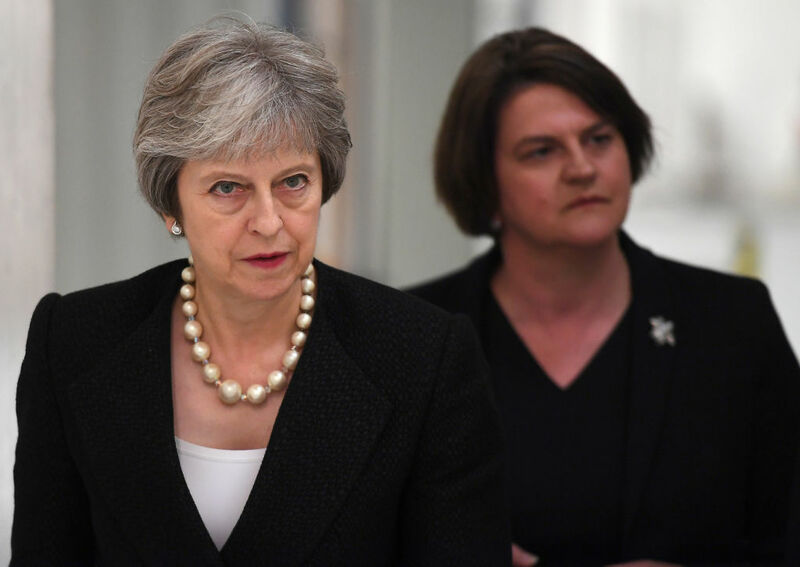 Prime Minister Theresa May with DUP leader Arlene Foster. Mr Evans added that without the support of the DUP the Government would struggle to pass legislation. Last week, the Democratic Unionist Party joined the opposition parties to win a motion against the Government saying that a minister was found to be in contempt of Parliament. “Without the DUP, even if this deal got through on Tuesday then we can kiss goodbye to any further legislation for the duration of this Parliament,” Mr Evans said. Mr Evans said that the UK should have negotiated a free trade agreement with the EU, before the Withdrawal Agreement because it might have made the Irish border issue “irrelevant”.